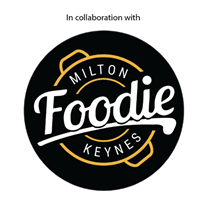 Along with our dedicated team of cookery teachers we deliver practical cookery instruction to children from 5 to 16 years old. We’re a likeminded group of people, all crazy for calzone, nuts about nougat and fanatical about fajitas. We all love to cook and we’re all passionate about passing that on to the next generation. Understanding what you eat and finding a pleasure in cooking from scratch is so important; we take this responsibility very seriously. However we’re also lots of fun and we actively encourage a hands-on approach to cooking; it’s the best way to learn! Born and brought up in Spain, Alicia‘s passion for food was first inspired by her dad’s Mediterranean cooking. After having her own children she wanted them to grow up experiencing a wholesome, varied and interesting diet. Prompted by the lack of regular cookery tuition in schools she started running a few local cookery classes close to home. She also attended Leiths School of Food and Wine where she was able to hone her culinary skills. This has been invaluable in her quest to teach as many children as possible the enjoyment of cooking. Rosie has always been interested in food from a very young age when her mum first taught her to bake aged two. Since then Rosie has been passionate about baking - exploring different flavours, recipes and techniques. 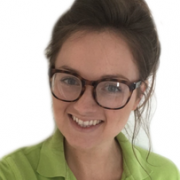 Rosie’s love of food drove her to undertake a degree in Nutrition at the University of Leeds where she was able to hone her food knowledge and skills. She believes that cookery it is an important life skill; teaching children to cook from scratch from a young age will not only increase their confidence in the kitchen but also help them to lead a healthy, balanced lifestyle. 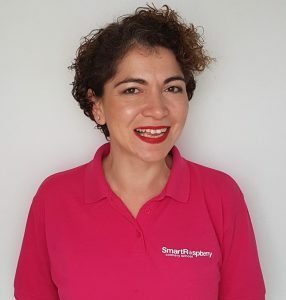 Asma first came across Smart Raspberry Cookery School whilst looking for a birthday party idea for her daughter, she says it’s the best thing she ever did! The franchise appealed to Asma as the perfect business to work around her children and family life. Prior to Smart Raspberry Asma worked in schools as a teaching assistant, educating parents and children in healthy cooking. Originally from Turkey, cooking and food have always been major passions for Gee. Her joy of cooking began in her grandmother’s kitchen preparing traditional dishes. 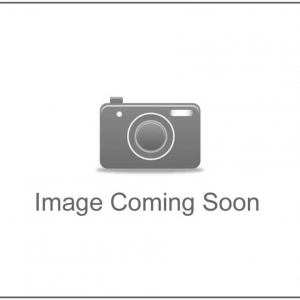 Gee owned a catering company in London, specialising in Mediterranean cuisine, and managing events. Gee relishes the opportunity to teach with Smart Raspberry, she feels if you love something it is instinctive to share it with others. Melinda has always enjoyed cooking for her family and friends. 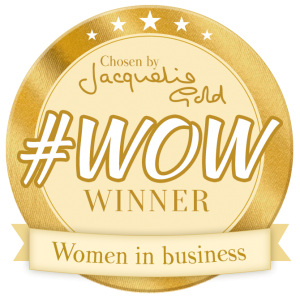 Originally, studying Hotel & Catering, she then had a varied career in Retail Management and Administration, before becoming a Teaching Assistant at her daughters’ primary school. There she has taught children to cook on a weekly basis. 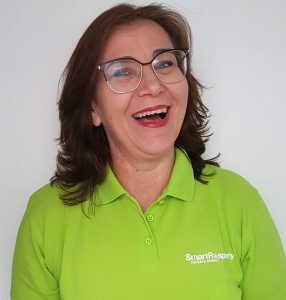 Melinda is very excited to be a part of Smart Raspberry, where she can share her knowledge and love of cooking to many more children. Working with children and food for around 15 years, Helen’s cookery experience is predominantly from working in catering and kitchens over the last few years, but it really stems from when she was a child watching and stirring many of her mum’s cake creations for weddings, anniversaries and birthdays. 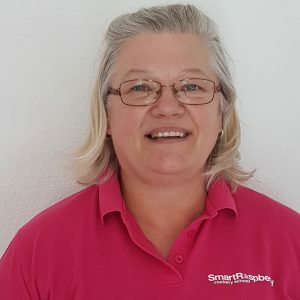 September last year, Helen joined the Smart Raspberry team as a cookery teacher – when she found out about the franchise opportunity she revelled at the prospect of taking on her own business and being able to do the two things she thoroughly enjoys - teaching and working with children. She looks forward to carrying on encouraging children to learn new skills that will stay with them throughout their lives. 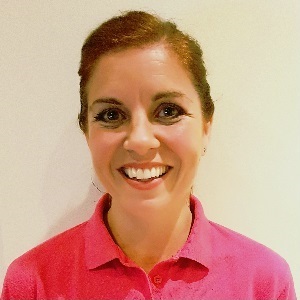 Sarah trained as a Nursery Nurse and worked in a nursery before having a change of career, but her love of children brought her back and she has been working with families for 10 years, most recently as a Children’s Centre Manager. Sarah has always loved cooking, from helping in her Nan’s kitchen to making pizzas with her aunt. She went on to take Home Economics at school and her love of cooking grew. She is passionate about healthy eating and recently trained to support families on a 1:1 basis. Sarah has a particular love of baking and has made a wide variety of birthday cakes for her family and friends. Sarah is keen that children should learn from a young age how to cook, after all , it is a skill they will have for life. 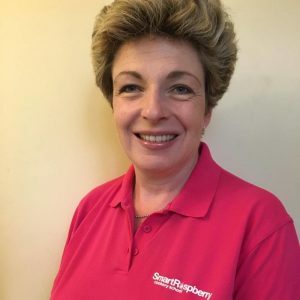 When the opportunity arose to join Smart Raspberry as a Franchisee, Sarah couldn’t wait to join as it enables her to combine her love of children and cooking. Growing up in a traditional Bengali family, food has always been an important part of the household for Yasmin. Her love for cooking, stemmed from helping her mum in the kitchen from a young age. 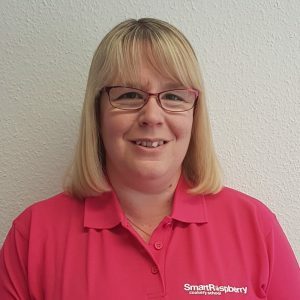 Having previously supervised after-school clubs, holiday camps and birthday parties, she has been given a head start in beginning her Smart Raspberry journey, as well as opening her eyes to how much she really enjoys working with children. Having grown up in a family with a passion for food - her Greek grandmother was famed for her authentic home cooking - Joelle completed a Cordon Bleu cookery course at Leith’s after taking A’ Levels. She went on to train as a French teacher but maintained her culinary enthusiasm by cooking regularly for friends and family. She loves discovering new ingredients; on holiday you are more likely to find her in the local market than in a museum. She enjoys teaching and sharing her knowledge and aims to strike the perfect balance of healthy and tasty in all her meals. Smart Raspberry gives Joelle a chance to follow her passion and share it with the next generation. She believes young people need to learn to follow recipes and develop the knowledge and skills they need to be creative in the kitchen. She wants them to leave her classes with a sense of pride and newfound confidence to cook for their friends and family. Hande always had a love for cooking. The smells, the different cultures, the different tastes... oh and dessert! Doesn’t it just excite you? 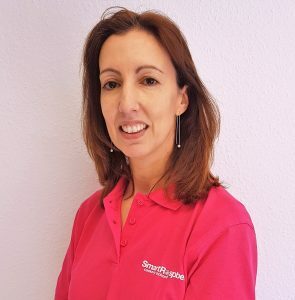 She originally studied as a Mathematics teacher and taught for several years but her passion was always to entrepreneur in different fields, so she became part of the Smart Raspberry team to continue working as part of something that she enjoys. 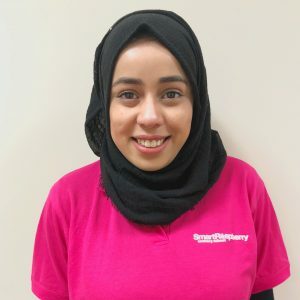 Hande will be running after school classes during term time and holiday workshops in the school holidays for children aged 6-14 years old in North East London, together with Gee, who is also the area manager for Epping and Woodford. 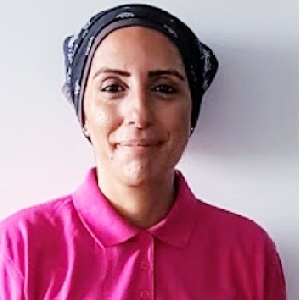 Hande looks forward to welcoming you and your young cooks to her fantastic classes very soon! 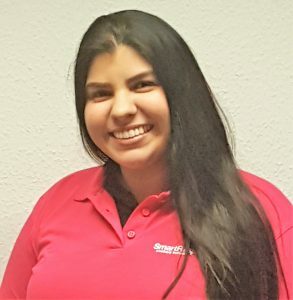 Originally from Venezuela, Paola‘s passion for teaching began when she was very young as she helped her younger brother with his homework. Today she has a bachelor’s degree as a preschool teacher and has worked in schools and nurseries for the past few years. In her free time she love discovering and cooking new recipes, not only from Venezuela but also from other cultures. Paola enjoys cooking for her family and friends, but above all believes that understanding about good nutrition is very important. She wants to continue learning about good nutrition so that she can teach this to her students whilst they are cooking. 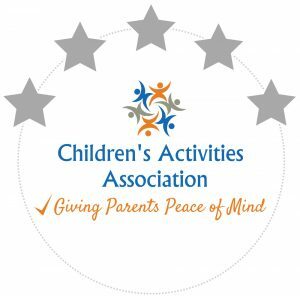 Paola runs pre-school classes and after school classes during term time and holiday workshops in the school holidays in the Bournemouth area. Food has always been a big part of Trudy’s life bringing the family together from their scattered locations, they would always get together for lunch or dinner at the weekends. Having travelled extensively Trudy loves big flavours and varied cuisines. Influenced by watching her grandma’s cooking, one of her earliest memories is helping her grandad dig the potatoes from the allotment and washing and peeling them for Sunday dinner. Trudy wants to share the culture of cooking and sharing recipes with others, along with her passion for a healthy happy balanced approach to food. Trudy runs pre-school classes and after school classes during term time and holiday workshops in the Swindon area. Also available for private group hire.